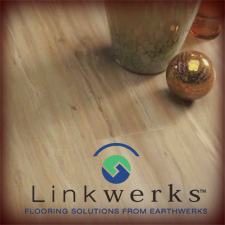 IMPERVIO engineered waterproof flooring (EWF) is a Beaulieau product. It is impervious to almost anything that could happen in your home. 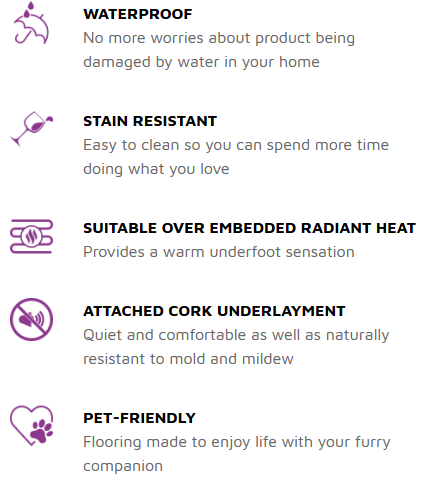 This innovative and pet-friendly product helps to provide peace of mind. It has a tough top layer that protects your great looking floors from scratches and everyday traffic. These easy-to-install and easy to maintain planks come with a lifetime waterproof warranty so you can be assured that Beaulieu has you covered for your families active lifestyle. If you want a floor that has a rustic yet refined look, the Lux Haus collection is for you! Create a fashionable, European-inspired décor in your home with these long and wide planks available in the latest colors on the market. Comes with the super easy to install Valinge 5G Locking System. Discover the soft and wood-like touch of the new Adventure collection. With their easy installation, waterproof finish and ability to be installed in any room, these products are a great option for active households. The New Standard collection is pushing the limits of luxury vinyl flooring: 12 stunning designs with the look, the graining and the character of real hardwood. Transform your décor with a genius look that will never go out of style! Beaulieu warrants its Engineered Waterproof Flooring (EWF) products to be free from manufacturing defects for the length of time specified on the Beaulieu authorized retailers’ sample from the original date of purchase. Beaulieu warrants to the original purchaser that its EWF products will not wear, stain or fade from normal use for the indicated period of time specified on the authorized Beaulieu retailer’s sample, starting from the date of original purchase. Beaulieu warrants to the original purchaser that its EWF products will resist staining from pets (domestic dog or cat) including feces, urine and vomit for the indicated period of time specified on the authorized Beaulieu retailer’s sample, starting from the date of original purchase when properly installed and maintained. 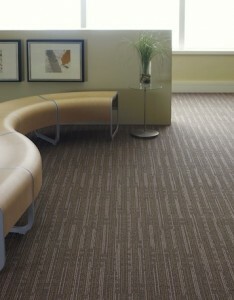 To learn even more about IMPERVIO you can contact our flooring experts at American Carpet Wholesalers. Call us today at (800) 548-2706 to discuss your next flooring purchase and guarantee your best price!